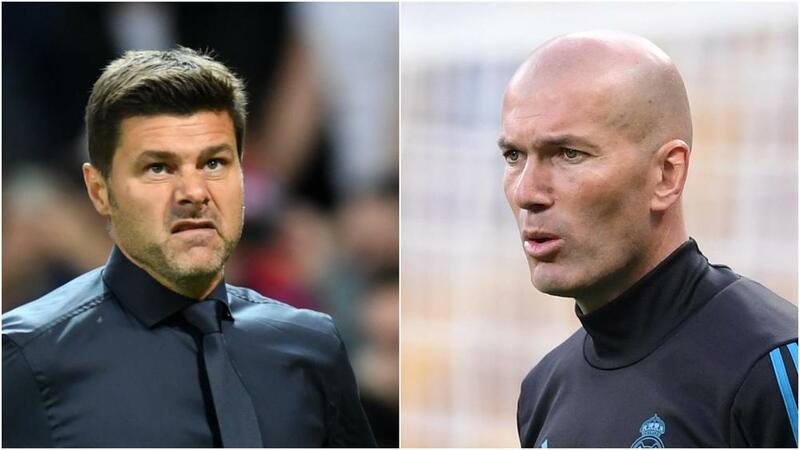 Zinedine Zidane and Mauricio Pochettino are the bookies' favorites to replace Jose Mourinho as the next Manchester United manager. Manchester United have sacked manager Jose Mourinho after a 3-1 defeat to Liverpool on Sunday proved to be the last straw for the club's board. Mourinho, in his third season at Old Trafford, leaves the club sixth in the Premier League, a massive 19 points behind rivals and leaders Liverpool. A turbulent campaign has seen the Portuguese boss make his unhappiness with the club's transfer business clear, as well as clashing with the media. No United manager since the great Alex Ferguson has brought stability and sustained success to the club, but who could be next in line for the permanent Old Trafford hot seat? Zidane the 10/11 fav to replace Mourinho. Here, we take a look at some of the possible contenders. Pochettino has long been talked of as a possible United manager, even dating back to Louis van Gaal's appointment. But the Argentine signed a new five-year contract in May and it is doubtful he would want to leave Tottenham in the middle of the season, making a pursuit at the end of the campaign more likely. He boosted his case in August, when Spurs - who had not even scored on their last four visits to Old Trafford - earned a convincing 3-0 triumph that further enhanced Pochettino's already glowing reputation. He clearly enjoys building a long-term project, despite his obvious frustration with the lack of activity in the transfer window at Spurs, similar to Mourinho's concerns at United. With Tottenham soon to move into the rebuilt White Hart Lane, they look primed to ascend to the big time. United will hope they have not missed their chance to appoint Pochettino, with Spurs now seeking to leapfrog them in the Premier League pecking order. The football world was shocked when Zidane decided to walk away from Real Madrid after leading the club to a third consecutive Champions League crown in May. Zidane has since kept a low profile and it is not yet clear where he sees his future. Few teams can compete with the prestige of managing the Spanish capital club, but United are up there – the two clubs are probably the biggest in the world. By June, Zidane will have had a full year to recharge his batteries and it could be a good fit. That said, for all Zidane's European success, Madrid finished 17 points behind Barcelona in the LaLiga table last term. A big collection of silverware, tactical ingenuity and, perhaps most importantly, available – Conte ticks a lot of boxes. A complication would be that he is currently embroiled in a legal battle with Chelsea, while the Italian appeared to lose control of the dressing room at Stamford Bridge last season. Although Conte is a proven winner, with four league titles on his record at the age of 49, the former Juventus and Italy boss can be as combustible as Mourinho and that could put off the Old Trafford board. Former Paris Saint-Germain head coach Blanc has been biding his time before returning to management, with over two years out of the game since leaving the Ligue 1 giants. Blanc won 11 domestic trophies in his three years in charge at PSG, but was sacked after a quarter-final Champions League exit to Manchester City in his final term. PSG then failed to progress any further in the competition under his successor Unai Emery, backing up Blanc's impressive record at the club. Blanc was previously linked with Bordeaux, but reports have suggested he has rejected a Ligue 1 return while, perhaps crucially, the 53-year-old knows Old Trafford well, having spent the last couple of years of his playing career at United. Leonardo Jardim was sacked as Monaco head coach in October after a terrible start to 2018-19 both in Ligue 1 and the Champions League, but that will not detract from the 44-year-old's legacy at Stade Louis II, after he impressed over the rest of his four-year tenure. Backed by some high-profile transfer recruits, Jardim won Ligue 1 2016-17, Monaco's first league title in 17 years, toppling the previously dominant PSG, and also led them to the Champions League semi-finals while playing an attractive style of football, the type of which United's fans crave. Given Carrick only hung up his boots at the end of the 2017-18 season, it would be asking an awful lot for him to permanently replace Mourinho, who added the former England midfielder to his coaching staff. Carrick would be untainted by the bad start to 2018-19 and could be a unity appointment, especially given a brief to put his faith in rebuilding around talented young players such as Marcus Rashford. Carrick has been at United since 2006 and few know the club better, but inexperience counts against him. Inexperience was also the argument used against Ryan Giggs when he was not considered for the main job when Mourinho was appointed. Now with Wales in his first full-time job as a manager having spent two-and-a-half years away from the club he had previously served without a gap since he was a teenager, club icon Giggs – still young in coaching terms at 45 – may be an option this time after learning from his four games in temporary charge back in 2014. It may be unlikely to happen, but even United fans must accept it would make for an intriguing spectacle. Wenger is yet to take a job since his 22-year reign at Arsenal came to an end.